Homeowners wanting to add texture, sound, and movement to their landscaping can do so by including a pondless water feature in their overall landscaping plan. 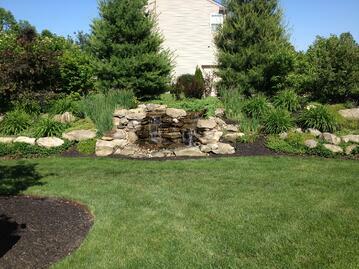 Pondless water features allow you to put a waterfall in any spot in your yard that needs a focal point. It can be designed for a small area, or it can occupy a large area that is otherwise not making a contribution to the overall design of your landscaping. Pondless water features are sometimes called "disappearing ponds" because they don't have an open pond at the bottom of the cascade. Instead, they use a water reservoir, a recirculating pump, and some type of rock or other material that the water flows out of. The water trickles (or gushes) through a rock base over the reservoir and disappears, and this cycle recurs endlessly. 1. Enjoy the sights and sounds of bubbling water. Nothing is as relaxing as lounging next to bubbling water. Water is soothing, and its sounds can displace other less pleasant sounds, like road traffic or a noisy air conditioner. You'll feel that nature has come to you when you can relax by your water feature just steps from your own back door. 2. Create an amazing focal point for your landscape. One of the hallmarks of professional landscaping is a variety of sights and textures. While hardscaped areas, foliage, and lawn make nice contrasts, the movement of a waterfall creates a real highlight in your yard. You can design it to be an eye-catching, dramatic feature, or if you're more in need of a tranquil backdrop, your water feature can be designed to be more low-key and relaxing. 3. 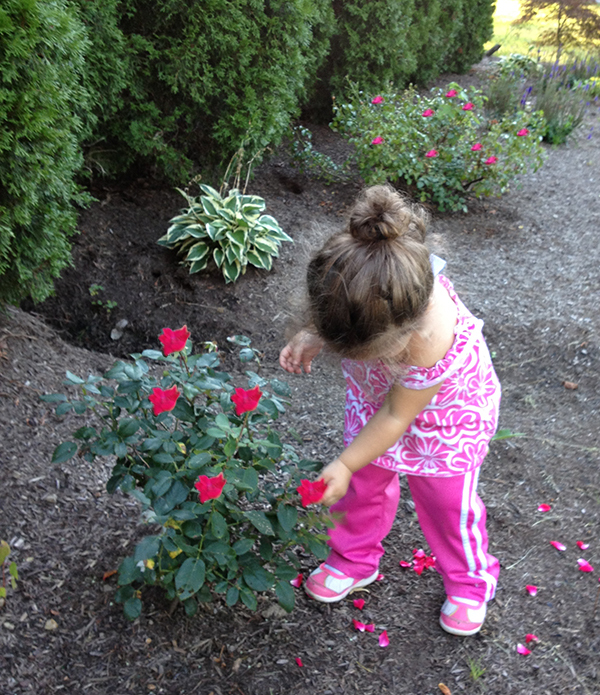 Add a low-maintenance area of your yard. If you're tired of mowing and pruning, adding a pondless water feature can reduce your chores around the house. The only maintenance required of pondless water features is adding a small amount of water to the reservoir every couple of weeks to make up for water that has been lost to evaporation. Pondless water features require very little maintenance, yet you reap many benefits from them. 4. Keep your children and pets safe. Pondless water features are perfect for families with pets and children because they don't pose drowning hazards. You can still enjoy a water feature without worrying about fencing it off or training your children and animals to stay away from it. There's also no standing water that can harbor harmful algae and bacteria, which could make pets sick. 5. Save money. 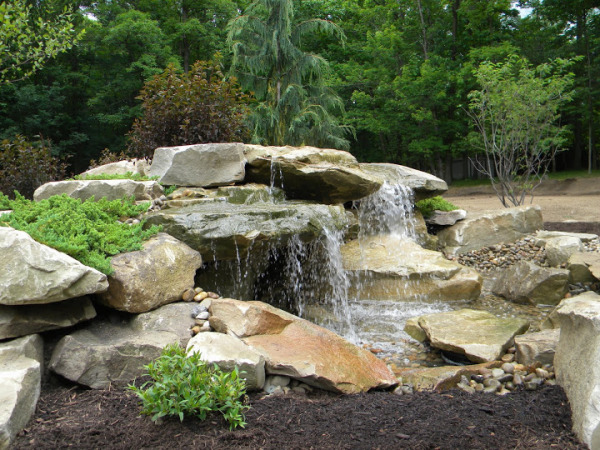 Pondless water features are less expensive than many other types of water features. There is less labor involved than with a traditional pond, and you'll also have fewer rocks and other materials to take into consideration. You don't have to worry about installing an open pond or maintaining it with expensive chemicals. If you're looking for a low-cost way to add water to your landscaping, this is it. To realize all of these benefits in your own backyard, contact us today. We can set up a time to send out a landscape designer to help you find the perfect spot for a pondless water feature on your property. Whether you need a show-stopping water feature for the front yard or a small, private feature for your favorite backyard nook, we can design a pondless water feature that is perfect for you. View our water feature portfolio for additional ideas.